Are cranberries in season where you live? How about pomegranates? 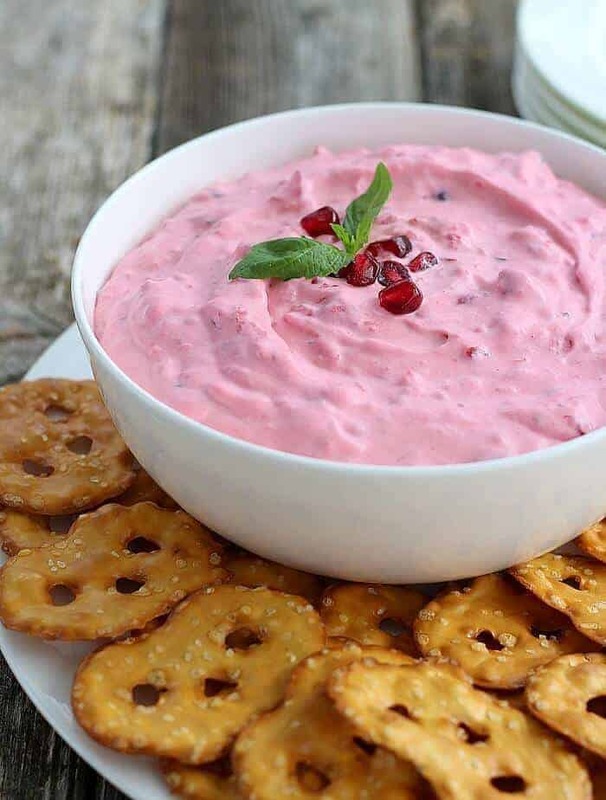 Then you must try this Cranberry Basil Dip at your next get-together. Perfect served with fresh fruit, mini pretzel twists, or as shown here, hugely popular Pretzel Crisps. A combination of cream cheese and whipping cream, lemon juice and sugar completes the base. In the printable recipe, I list suggested amounts of cranberries, pomegranate and raspberries to mix in, but you can add more or less of these as you like or depending on what’s on hand. But one thing’s for certain, be sure to add fresh basil. 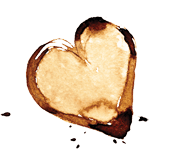 This is the ingredient that brings it all together. The peppery, slightly minty bite from the basil makes every other flavor in this dip come alive. The recipe calls for frozen raspberries. I’ve used fresh as well, but frozen raspberries will have more juice with them once thawed and that means even more flavor and color. Plus the juice thins out the dip to just the right consistency. I personally like it better on the thin side. A healthy dose of lemon juice and zest goes into the dip. The lemon, along with the tart fruit combination, keeps the dip bright and the basil gives depth and just the right “strangeness” that makes Cranberry Basil Dip unique. Make this recipe at least an hour ahead of serving, but it’s even better made a day ahead and actually can be made two days before you need it. 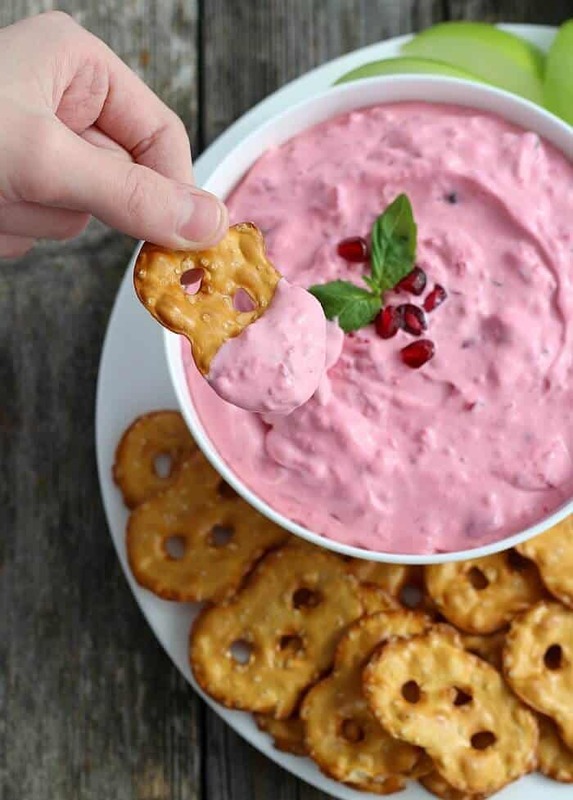 Super easy but not same-ol-same-ol when it comes to flavor, Cranberry Basil Dip will be a success at your holiday or game day festivities. 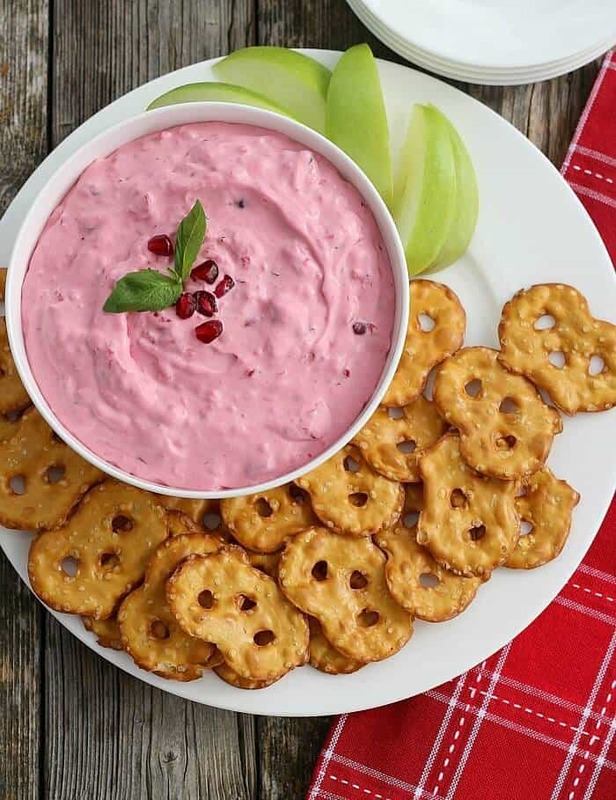 This is a fabulous dip that is perfect as a fruit dip and pretzel or cracker dip. Make at least one hour ahead, up to a day (or even 2) ahead. Serve with apple slices, mini pretzel twists or favorite salty crackers. The combination of the tart cranberries, pomegranates and raspberries in cream cheese and whipped cream is unique and addicting when you add the peppery taste of fresh basil. In the bowl of a stand mixer fitted with a whisk attachment, add the cream cheese and mix until smooth. Slowly add the whipping cream and mix on low until incorporated. Don't worry if it's lumpy. Increase the speed to high and mix until cream mixture forms stiff peaks, about 2 minutes. Decrease speed to medium and add sugar. Continue to mix about 30 seconds. Add raspberries, cranberries, pomegranate arils. Stir on low until pink in color throughout. Add dash of salt and juice and zest from large lemon and continue to mix another 30 seconds. If you want the dip to be a bit thinner, add up to 2 tablespoons of raspberry juice from the previously frozen raspberries. Pour dip into medium bowl and refrigerate at least 1 hour, and overnight is even better. When you remove from the fridge, stir to mix the colors again. Now add your minced basil and mix well. Taste and add more basil or sugar as needed. Dip is ready to serve now, or can be returned to fridge for up to 2 more days before serving, if covered in airtight container. Serve with Granny Smith apples, mini pretzel twists or pretzel chips. Use any favorite cracker, but the salty variety works best with the sweet and spicy dip.